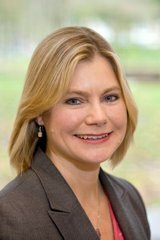 Justine Greening MP has organised a public meeting with Thames Water for residents to raise their concerns about the development of the Thames Tunnel and how it will impact on the local community. The meeting will take place on Thursday 9th December, 2010 at St Mary’s Church, Putney, starting at 8.00pm and all local residents and businesses are invited to attend. The meeting will consist of a presentation about the Thames Tunnel project from Mr Richard Aylard, Director of External Affairs for Thames Water, and Mr Phil Stride, Head of London Tideway Tunnels, followed by a question & answer session with residents. ‘The Thames Tunnel project is a really important issue for residents and businesses locally. The project will have a huge impact on our community so it is vital that we get our concerns across to Thames Water and I hope this public meeting will help us to do just that. I would encourage as many local residents and businesses to attend the meeting as possible as so we can really make our case to Thames Water.